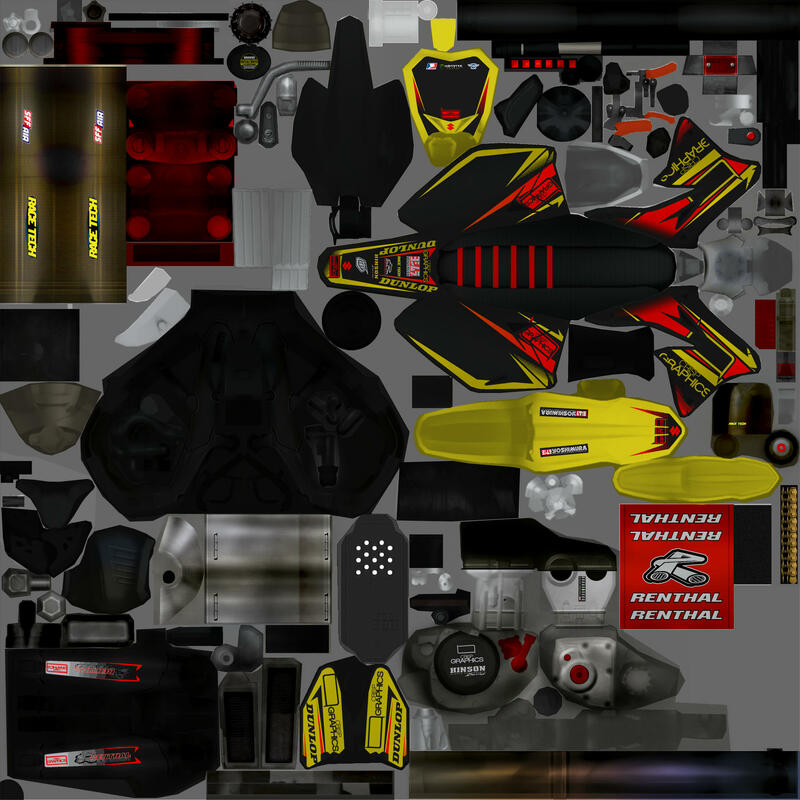 Here is the psd of the CrispGraphics Racing team bike that we used in the 2013 Outdoor season. all the aftermarket parts and such are on there including some we didn't even use. The Yosh pipe in NOT included as it is Ramons to release as he wishes. Im unsure if the ProTaper Barpad lines up but it is pretty close to lining up. The back looks very nice, good job ! Like how clean the design is.